Thus ends our exciting, albeit brief adventure through Japan. It may have been a hectic time, but I feel like we learned a lot about each other and that we’ve grown just a bit closer to one other. As I’ve mentioned before, this wasn’t the exhilarating climax that I had envisioned, but it does set the stage for more events to unfold in the Special Region, where I think it’s safe to presume most of the action will take place from here on out. Though, I can totally imagine the evil Empire breaking through the gate and wreaking havoc in the real world. 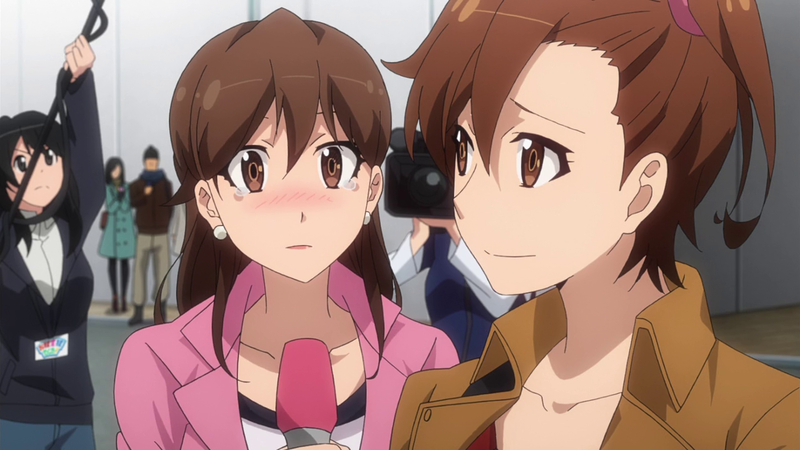 Before returning home, the girls accomplish the ultimate goal of making a peaceful politic statement by offering prayers to the victims of the Ginza incident from the very first episode, and with the help of Risa, they gain the favor of the internet populace, as well. In this way, GATE as a series gets that in this age of social media and message boards, one’s public image goes beyond what the higher-ups in government seats think. I know I’ve said that Pinya is my favorite character, but Shino is a really close second for me, and her character really shined this episode, especially with the introduction to her ditzy sister, Nanami. Appealing facets of Shino’s character include, but are not limited to, her tendency to point guns at things that annoy her and her constant readiness for close-quarters combat, even if its against her own sister. 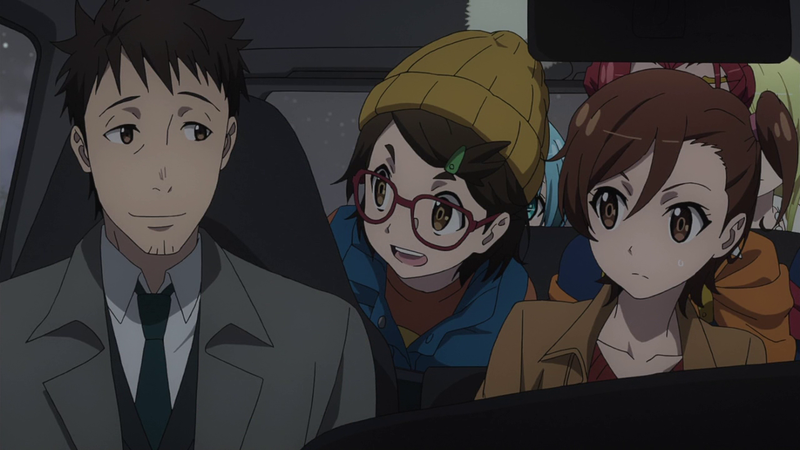 How can one not laugh at the gun haphazardly concealed in Shino’s jacket when she’s hijacking Nanami’s news broadcast? As the girls return to the Special Region, we can only speculate as to how they will share their experiences in Japan with those in their home world. We see that they’ve all brought goods back from the other side, though I for one am unsure whether Lelei will be able to connect to Wi-fi at all with her new laptop. 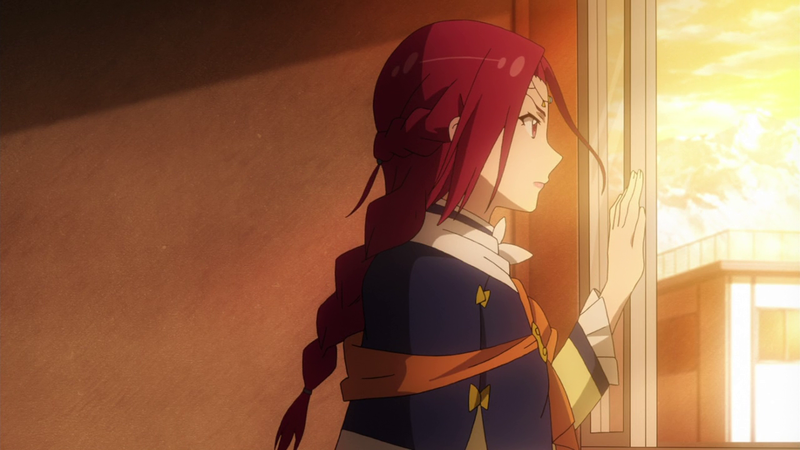 Pinya appears determined to negotiate for peace with her father, which is bound to end up going swimmingly, while Tuka is convinced that her own father is still with her. Do I sense a theme of family building up to the forefront of the series?